Refreshing and accessible, Individual and Groups in Organizations guides student and practitioner alike through the maze of approaches to the way in which people interact in organizational life. The typical book about organizational behavior is actually an introductory course in social psychology for business students. By building their text around six topics central to those who manage in organizations, the authors have provided a clear, easily used framework for analyzing the role of the individual in the group, the group in the organization, and the organization in the environment. Throughout this book the central themes are explained and analyzed with reference to new case examples, summaries of current research, and key concepts. 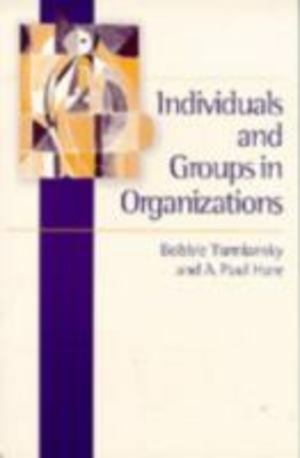 Without being a traditional textbook on organizational behavior or a recipe book for managerial action, Individuals and Groups in Organizations provides both business students and reflective practitioners with valuable insights into the processes of creativity, flexibility, change, and development in organizations.